Shop online for 94 testors airbrushes at discounts up to 59%. Paint Brushes is the most popular of the 6 testors airbrushes categories, then Accessories, and Mask/Tape. Store paints, glues, brushes and other accessories. This is a Model Master Pipettes (6) from Testors. 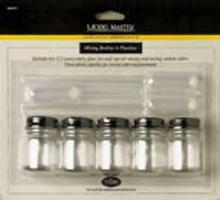 This is the 1/2 ounce (14.7mL) Testors Model Master Decal Set. This is a 6oz Can of Airbrush Propellant from Testors. 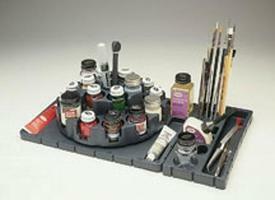 This is the Aztek Airbrush Cleaning Station from Testors. This is the Testors Fine Line Nozzle for use with Testors Aztek Airbrush Systems. This is a 33mm Siphon Cap & Bottle from Testors. This is a 20' Roll of ½" Masking Tape from Testors. This is the Assortment of Masking Tape from Testors. This is Testor Premium Flat Brushes - Set of 3 The most popular size brushes for a multitude of projects. These are Filters for the Airbrush Cleaning Station from Testors. This is a .40mm Gray General Purpose Nozzle from Testors. Use Gravity Feed Color Cups for fast cleanup between color changes. This is a 3cc Gravity Feed Color Cup for Airbrushes from Testors. This is a Testors 1/4" Golden Synthetic Chisel Model Master Paint Brush. FEATURES: Solid birch wood handle Seamless nickel-plated ferrule Hand-formed synthetic gold bristles are glued into the ferrule. For blending of secondary camouflage patterns. For color application of medium sized areas, and drybrush stippling. Packaged in a bubble pack with peg board header card.